Our shirts are finally back in stock! Get yours while they last. These t's are made in the USA, form fitting, and ultra comfortable. No cheap materials here, this will be your new favorite shirt. Price includes free priority mail rush shipping. Thank you, all sales are final. This Made In The USA, form fitting, ultra comfortable shirt is avaiable in Navy Blue and Black. Get yours while they last. $26.99 includes priority mail rush shipping. Fly the logo of America's most elite survival training school- as chosen by the US Marine Corps, Navy, and Air Force for official training. 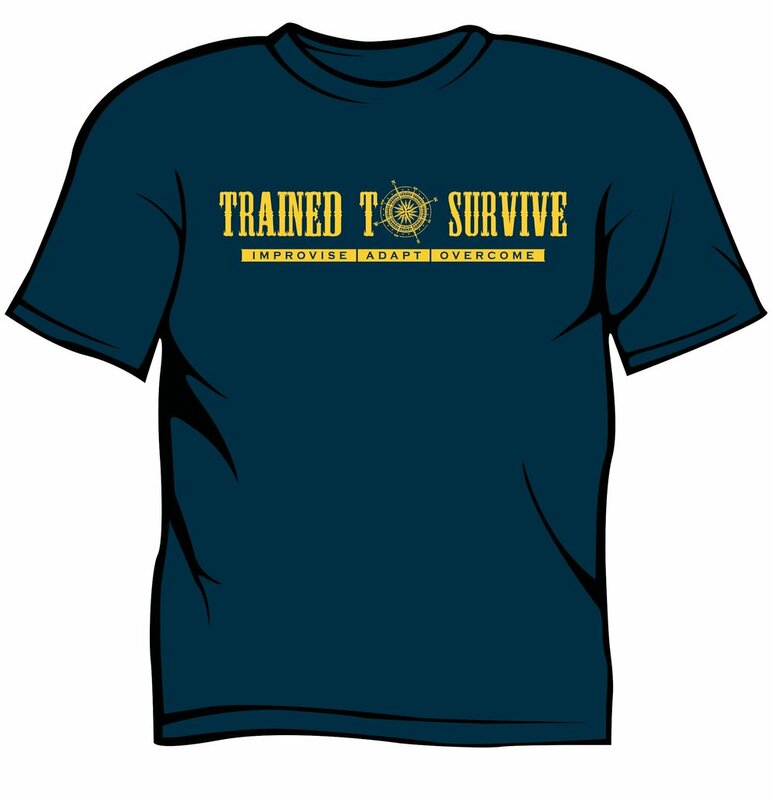 Double sided print with "trained to survive" on back. This Made In The USA form fitting, ultra comfortable t is avaiable in Navy Blue. Get yours while they last. $26.99 includes priority mail rush shipping.